"Let's head down to Navy Pier this Sunday!" are words you're likely not to hear from any Chicagoan, even after nearly a decade of residency. For being the Midwest's most visited attraction, it is surprising how little substance is on the pier. Still, we chose to embark down the tourist boulevard this past June weekend. For good reason though, hear me out. Sometimes–if you're willing to weave your way down the pier, past the 7-wide families, Dippin Dots stands, and swarms of bros headed to the Miller Lite 'biergarten'–there may be a reward at the end of it all. On this particular Sunday, it was Mystic Blue's "Chicago Small Craft Beer Cruise." The event's name was a bit ambiguous. Sure some of the breweries on board are new to the scene (Exit Strategy, Around the Bend, newly re-imagined Burnt City). 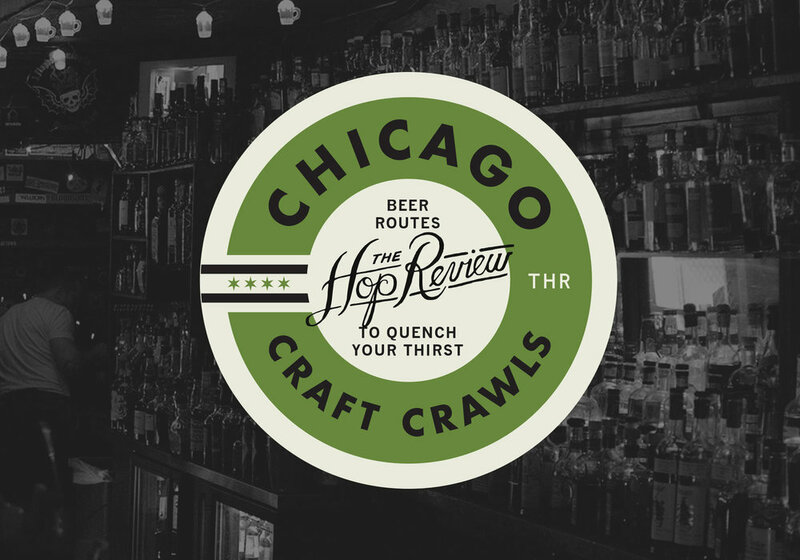 But many were Chicago stalwarts (Metropolitan, Half Acre, Ale Syndicate, Pipeworks), and it'd be hard to argue any of those do anything "small." Name aside, the afternoon was well-conceived, showcasing a variety of beers from 12 breweries in total. Besides, how often are you presented the chance to drink an impressive lineup of beers, in perfect Chicago weather, looking back at the Midwest's most famous skyline for a few hours? For that, we're always willing to make the Navy Pier jaunt. This beer seems to define its own category. Not quite sour, not quite fruity–this pomegranate wheat ale is surprisingly balanced and refreshing. A pomegranate beer for those who would never pick up a "pomegranate beer." A farmhouse ale that packs more refreshment than tartness. So, basically, my kind of sour. Two Brother's Brettanomyces might be reason for the name, but this one is approachable, and made for summer–just look at that neon packaging! I have a good feeling you'll be seeing your fair share of radlers this summer. The shandy made popular by the Germans may have taken a while to gain the attention of the craft community. But, Chicago's brewers look to be taking notice. Burnt City's lime version is perfectly tangy and tart, and the lime is a refreshing take. I can't quite say enough good things about this beer. For a brewery known for hop bombs and a near endless list of beers, this Belgo-pale presents more than enough to stand out from the pack. It's bright and bready, but then balanced impressively with citrus and pineapple notes. Start stocking this one for backyard coolers now. Tried and true. Chicago's indie take on the Pilsner, from the Chicago brewery that puts the best indie takes on every style. Pony is as traditional as Half Acre gets, and for good reason–you need a break from the palate busters once in a while, especially on a sweaty summer day. And from the walls of cans-at-the-ready at the new brewery, it's safe to say this will become even more of a Second City staple. If you're ever looking for an afternoon out on Lake Michigan, drinking some Chicago beers, be sure to stay atop Mystic Blue's recurring lineup of craft beer cruises. Events hosted by Mystic Blue and produced by BrewFest Partners.